1. Add a New Member From your dashboard, click on 'Members' and from the drop down menu select 'List Members'. 2. The list of members that belong to that club (or team) will appear. Click on the magnifying glass directly to the left of the member's name you wish to view/edit. 3. Once you have clicked on the magnifying glass, you will be directed to the players dashboard. Once there, click 'Member Records'. 4. 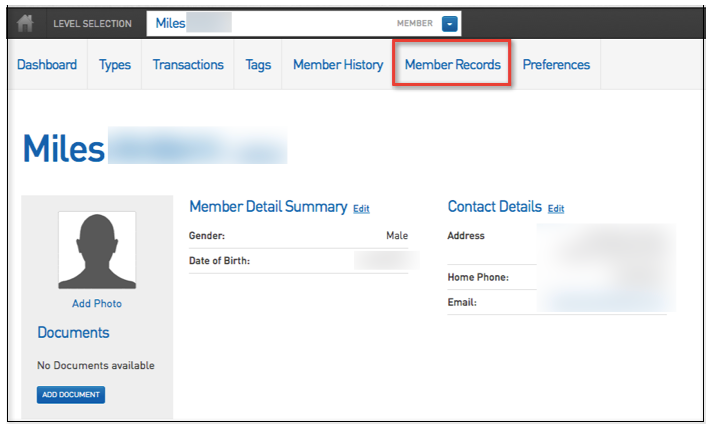 To edit an existing Member Record Type, click the small magnifying glass. 6. Once you have edited the type, click 'Update Record'. The following page will confirm your change.